This yacht is perhaps one of THE most iconic fast Mediterranean cruisers of her generation. She belongs to the Mangusta 165 stable of high performance vessels. Her timeless styling, beautiful furnishings and sumptuous seating featured throughout create an elegant and comfortable atmosphere. The spacious flybridge is primed for outdoor entertaining and relaxation, and she boasts al fresco dining forward and aft plus plenty of sunpads. She is a true performance yacht with incredible top speeds, making her also a very exciting charter yacht. United Yacht Sales New Jersey would love to guide you through a personal showing of this 160' Overmarine Mangusta 165 2007. 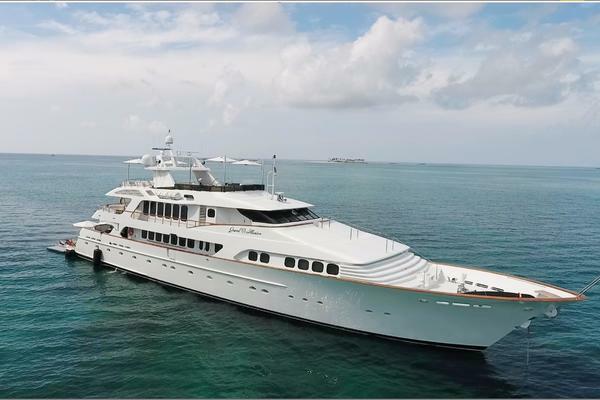 This yacht for sale is located in Southampton, Hampshire and priced at $13,950,000. For a showing please contact us by filling out the form on this page and we will get back to you shortly!